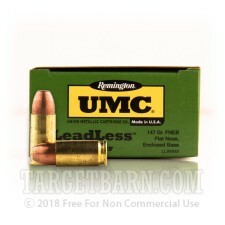 High volume indoor shooters can protect themselves by shooting ammunition like this 9mm Luger load from Remington UMC. These cartridges use flat nosed enclosed base bullets that do not release lead particles into the air when fired. Each round in this case of 500 fires a 147 grain bullet at 990 feet per second. This subsonic velocity works well with suppressors to produce maximum noise reduction. 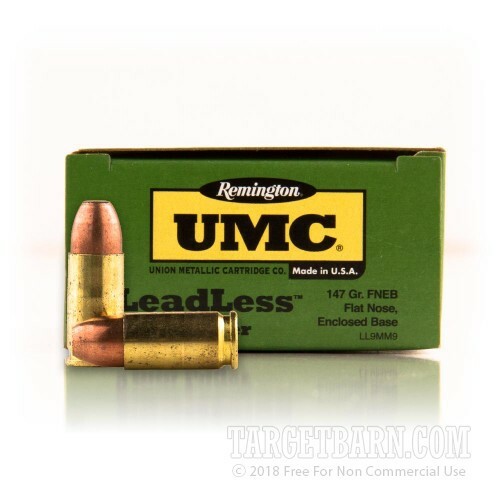 Remington ammo is loaded in the USA using brass cases and non-corrosive primers.